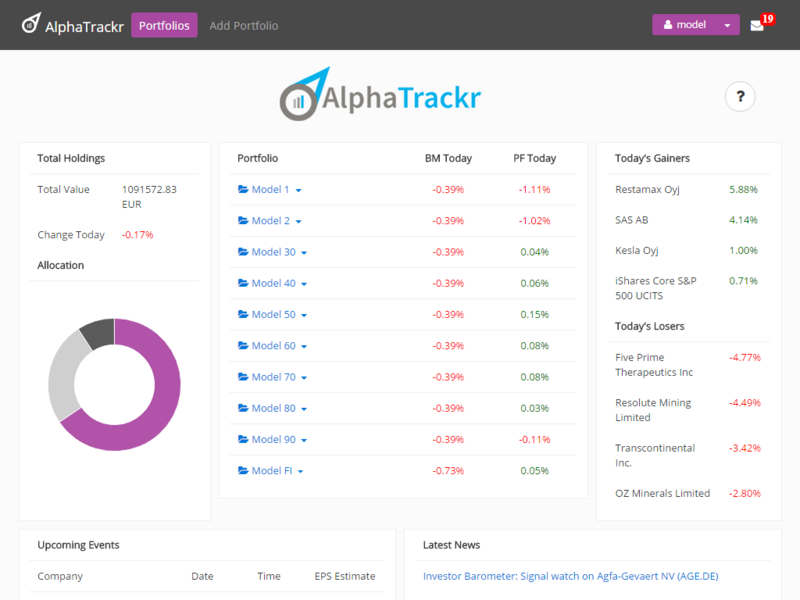 AlphaTrackr is a comprehensive investment portfolio tracking tool for investors. AlphaTrackr helps you to monitor the performance of your portfolios as well as follow and analyze stocks in one place. 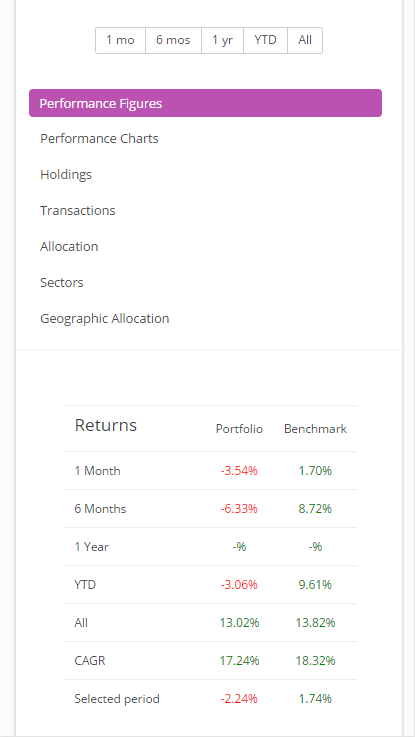 AlphaTrackr allows you to build and manage your investment portfolios easily. 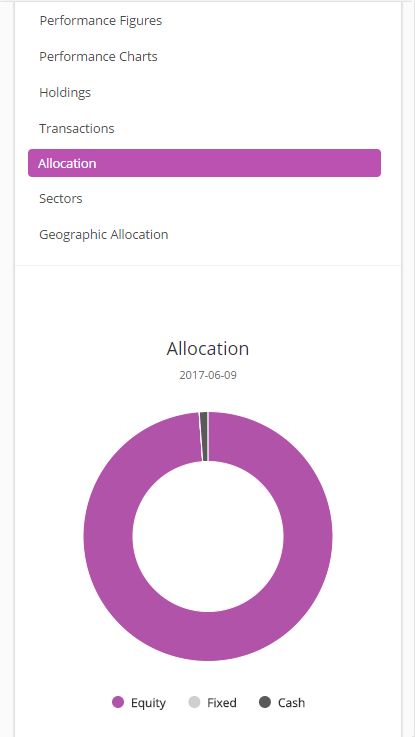 You can build multiple portfolios, which allows you to track the performance of different investment strategies. Get started quickly by importing a CSV file containing your holdings or historical trades, or enter data manually. With AlphaTrackr, you can monitor weights of individual instruments, sectors and regions easily. 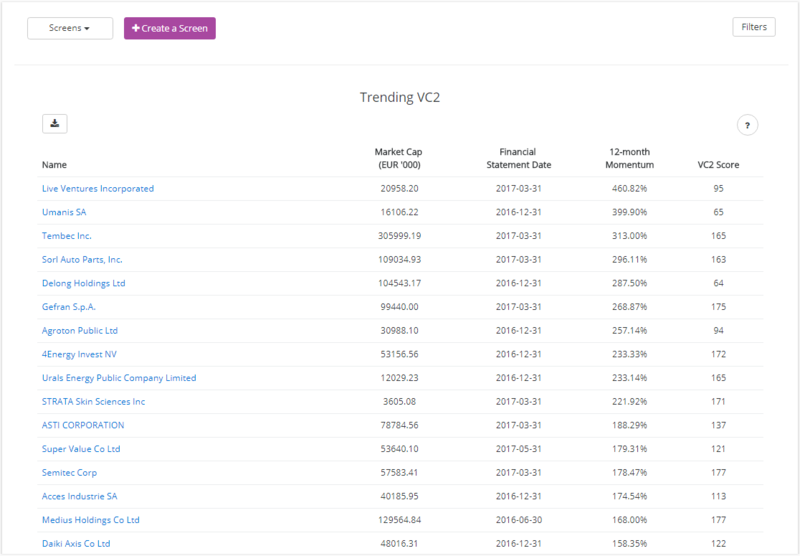 AlphaTrackr also offers comprehensive reports of companies in your portfolio (e.g. financials along with key figures). Additionally, AlphaTrackr's risk assessment tool will help you to find a suitable risk level. AlphaTrackr offers extensive reports of your investment portfolios. See how your portfolios have performed against the benchmark indices, monitor your cash flows and commissions. Automatic reporting offers a possibility to receive a PDF report of your portfolio by email each month or week. You can also keep track of your favourite stocks with watchlists. Receive notifications of dividends and check upcoming earnings announcements. Stop-loss and target price alerts by email. Check financials and key figures of your holdings. Track stocks, ETFs, mutual funds in one place. Keep track of your transactions. Get a clear picture of your performance with our extensive reports. Find new investment ideas using our Stock Selector tool. Read the latest news on your investments. Sign in to see all of our features. We are constantly adding more features to AlphaTrackr. Find new investment ideas with our screener tool, which allows you find stocks that meet your criteria. Use our predefined screens like Greenblatt's Magic Formula, O'Shaughnessy Value Composite, or build one of your own. AlphaTrackr's stock screener allows you to build screens to find stocks that match your investment style. 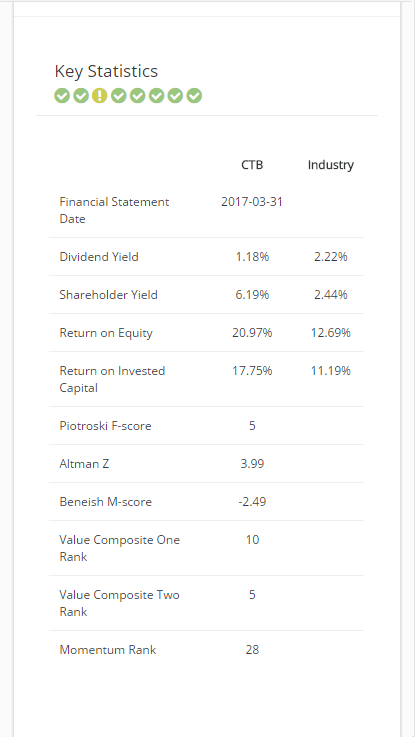 You can filter stocks using traditional valuation ratios like the P/E, P/B, D/P to find possible bargains and more complex figures like the Piotroski F-score, Altman Z-score or Beneish M-score to assess financial health of companies. Check out the live demo of AlphaTrackr. Don't have an account yet? Login with Facebook/Google or Sign Up with your email.